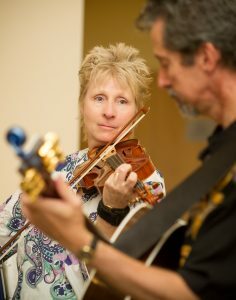 With well over thirty years of performance experience, Josie has several options to make your special event memorable. Strolling violin is an elegant and intimate addition to a dinner party or reception. A jazz duo or trio adds a fun energy to any gathering. For something unique, live looping violin captures people’s attention. In addition, Josie has a large song list of Christmas music for holiday events. 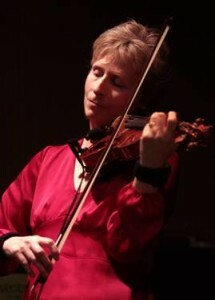 For weddings Josie plays solo violin, with a classical string duo, trio, or quartet, or with a guitar and violin duo. Josie’s groups are all full time professional musicians with decades of performing experience. They are skilled at timing music to fit the flow of the ceremony and choosing music appropriate for the event. She has played for hundreds of weddings and never had an unhappy client. Josie has a wide and varied collection of solo violin music. From opera favorites to jazz classics, she can put together an evening of themed music. Want Irish music? No problem. Some bluegrass, or gypsy jazz? Atmosphere for an Italian dinner, or just some simple classical? Josie is happy to make that happen.